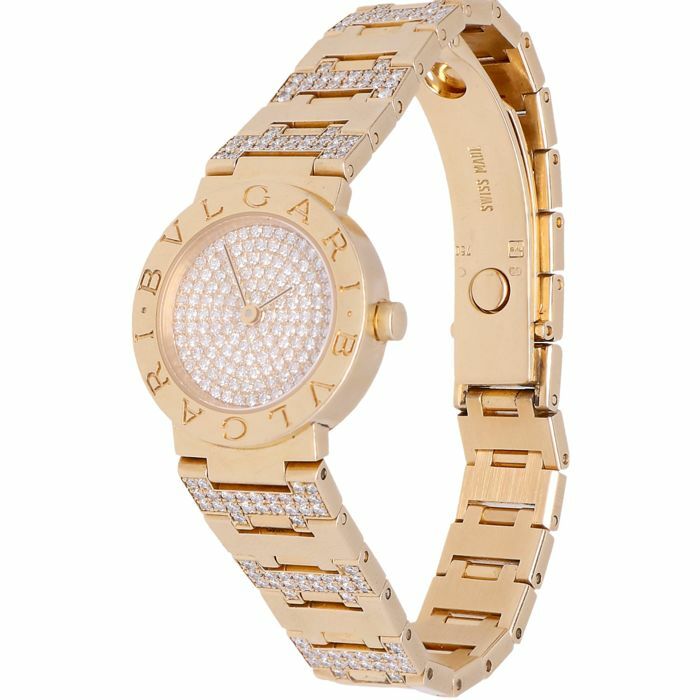 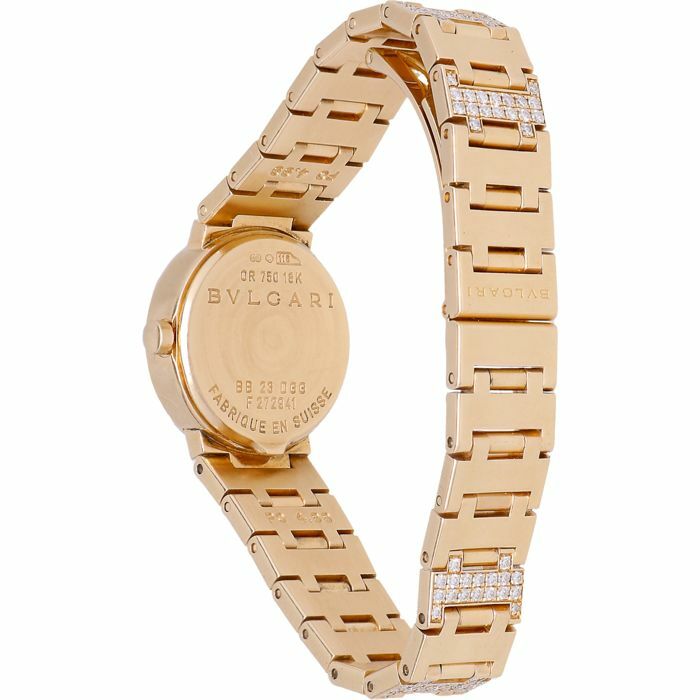 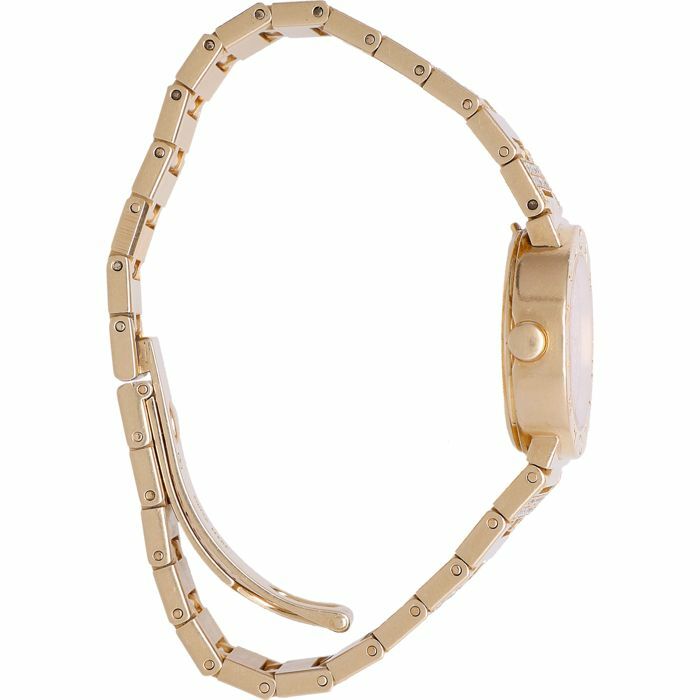 This concerns a watch from the Bvlgari Bvlgari line with an 18 kt yellow gold case of 23 mm and a yellow gold strap, total gold grade adding up to 89.6 grams. 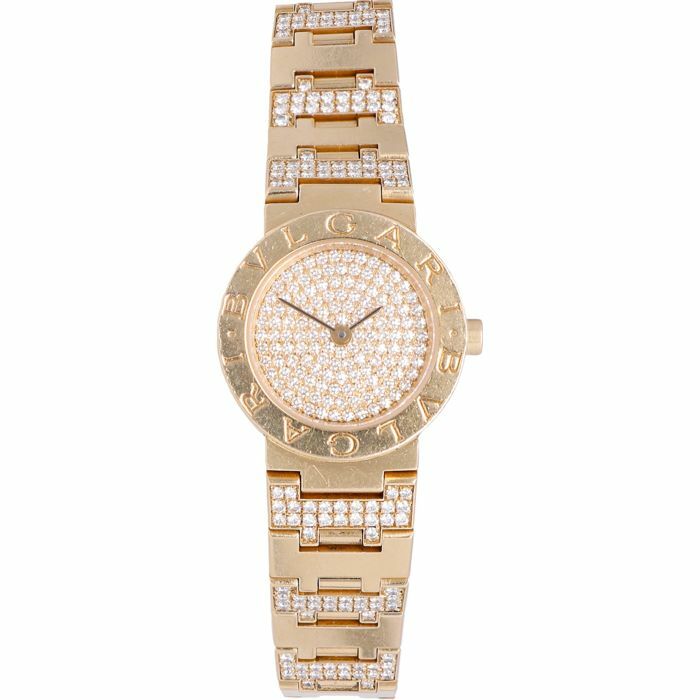 The dial and strap are set with a total of 338 diamond with a total weight of 2.35 ct.
the last known value of the watch is €26,500 and was introduced in the year 2000. 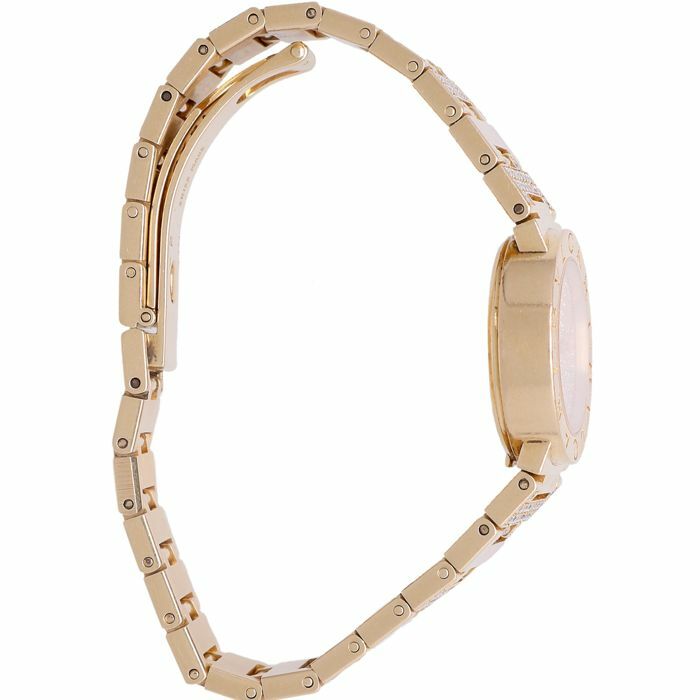 The watch has a quartz movement.